Counters are one of the simpliest metrics types supported and allow us to track how many times something has happened. They are an atomic 64-bit integer which can be incremented or decremented. Counters are ideal for counting occurances, events or errors for example. They also provide the ability to track a count and percentage of each item with a set, for example if we were tracking the number of emails our application has sent, we could also track the number of each type of email sent and their percentage of the overall count within the same counter. 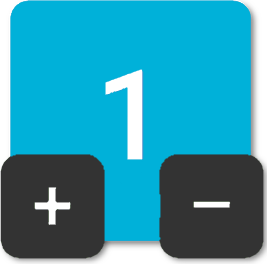 When reporting counters we should keep in mind that they are a cumulative count, therefore if we want to sum the counters over a given interval we may not see the expected result since this will be a sum of the cumulative count at each reporting interval, also since metrics are recorded in memory by default a new deployment of the application will of course reset the count. The CounterOptions provides some settings to control what is reported and whether or not to reset the counter and it’s set items on reporting. ResetOnReporting Resets the count and the counter’s, set items when the first configured reporter flushes metrics. This would then cause set item percentages to also be reset. ReportSetItems Determines whether or not to report the counter’s set item when flushing metrics via a reporter. ReportItemPercentages Determines whether or not to report the counter’s set item when flushing metrics via a reporter. When choosing to reset a counter when reporting, keep in mind that if mulitple reporters are configured the first reporter which flushes metrics will reset the count.